Tamaulipas (Spanish pronunciation: [tamauˈlipas]), officially the Free and Sovereign State of Tamaulipas (Spanish: Estado Libre y Soberano de Tamaulipas), is one of the 31 states which, with Mexico City, comprise the 32 Federal Entities of Mexico. It is divided into 43 municipalities and its capital city is Ciudad Victoria. 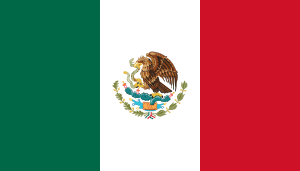 The capital city was named after Guadalupe Victoria, the first President of Mexico. It is located in Northeastern Mexico. It is bordered by the states of Veracruz to the southeast, San Luis Potosí to the southwest and Nuevo León to the west. 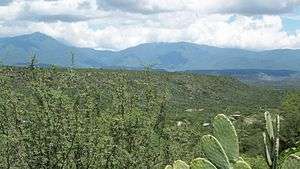 To the north, it has a 370 km (230 mi) stretch of the U.S.–Mexico border along the state of Texas. ↑ "Puerto de Tampico". Ports in Mexico. World Port Source. Retrieved 2009-12-17. 1 2 Industrial Costs in Mexico – A Guide for Foreign Investors 2007. Mexico City: Bancomext. 2007. p. 102. ↑ "Link to tables of population data from Census of 2010". 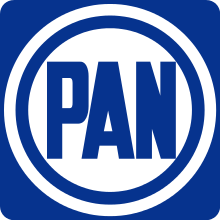 Inegi.org.mx. Retrieved 2013-06-30. ↑ "McAllen Overview". McAllen Chamber of Commerce. Retrieved 26 August 2011. 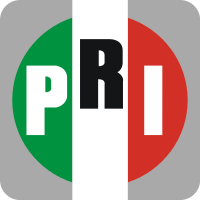 ↑ "Estadísticas INEGI Población en Matamoros". Copyright © 2011 matamoros.com. ↑ "Matamoros-Brownsville". World Gazetteer. Retrieved 22 August 2011. ↑ Tapio, Helen. "B. Traven's Identity Revisited". Helsinki Historia. Historical Association. Retrieved 17 June 2016.